LAKEFRONT LUXURY TOWNHOME IN DESIRABLE HIGHLAND PARK! Beautiful lake views of the 64 acre lake that can be used for fishing, canoeing, kayaking & more. Brand new designer paint throughout. New carpet in the bedrooms and imagination room above the garage. The main house has 3 bedrooms & 2.5 baths with upgrades. The spacious eat-in kitchen has tile floors, stainless steel & black appliances, wood cabinets & corian counter-tops. The living area has laminate floors and a door leading to the covered patio and yard. The master bedroom faces beautiful Galt Lake, has a walk-in closet and master bath complete with double corian topped vanities, a garden tub and separate walk-in shower. 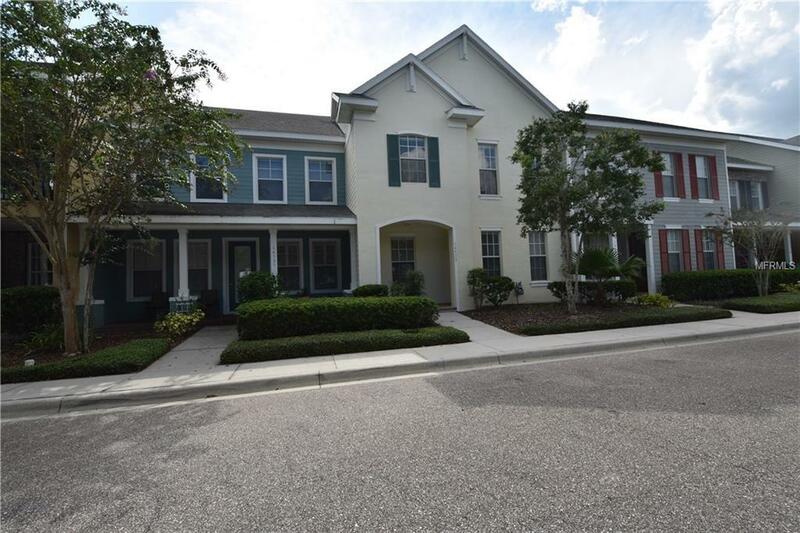 WHAT SETS THIS HOME APART IS THE TWO STORY DETACHED GARAGE WITH A SECOND STORY 520 sf ft LOFT WITH A FULL BATH, ITS OWN ENTRY & STAIRWELL & A SEPARATE AIR-CONDITIONING SYSTEM. Can be used for a work space, or add a small kitchen & you have a small apartment/ in-law suite, game room or wherever the imagination leads. Highland Park is a master planned community with a club house with a full fitness center. junior olympic size pool, luxury media rooms. 64 acre lake with fishing pier, and is close to all local shopping and malls. 15 minute drive to Tampa Airport. All A rated schools. This active community has music fest, Easter egg hunt, Halloween event and a Fall Festival etc. A must see! !